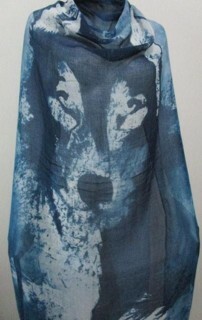 The Wolf Scarf in Blue is a favorite WHAP product. The design is breathtaking. 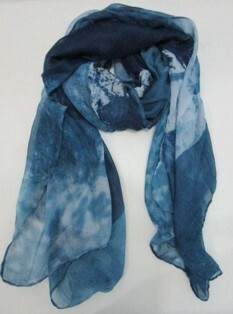 The 100% polyester scarf is well made and very generous in size. It can be worn so many different ways. See below for ideas. This would make a fantastic Wolf gift. It is also available in Brown, with more pictures of ideas on how to wear them.